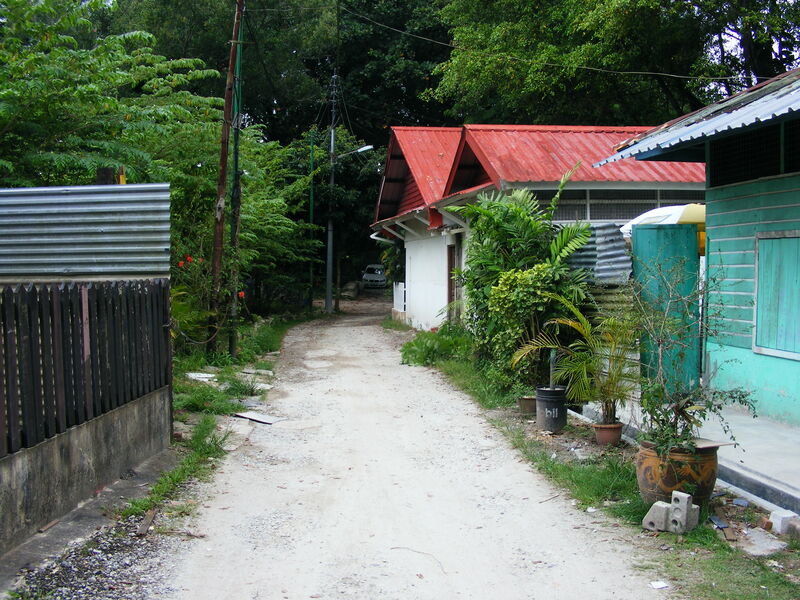 Kampong Buang Kok (also called ‘The Last Kampong’ as it’s the last kampong left in mainland Singapore) has been on my Bucket List since I first heard about it a good two years ago. 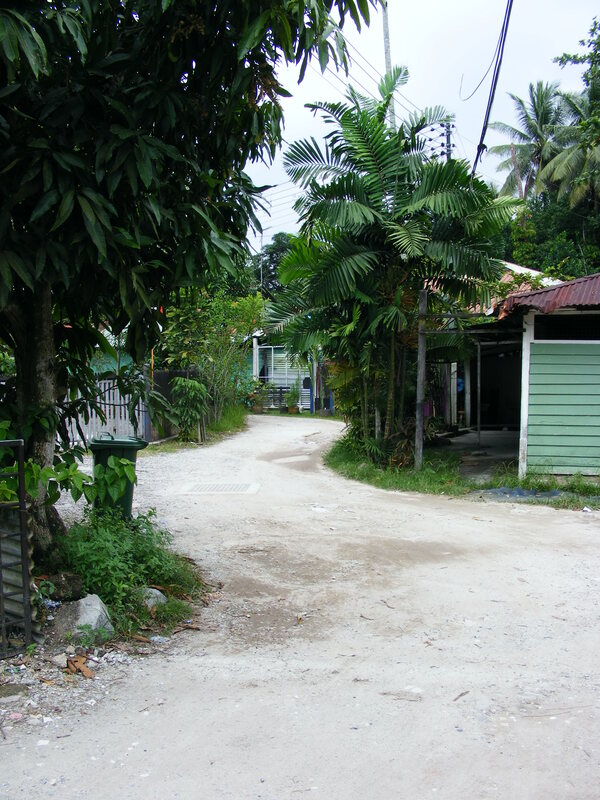 Before Singapore gave itself the mother of all makeovers in the 1960’s most of Singapore lived in kampongs, or villages. Most people in Singapore now live in the sky, with the majority living in HDB flats. 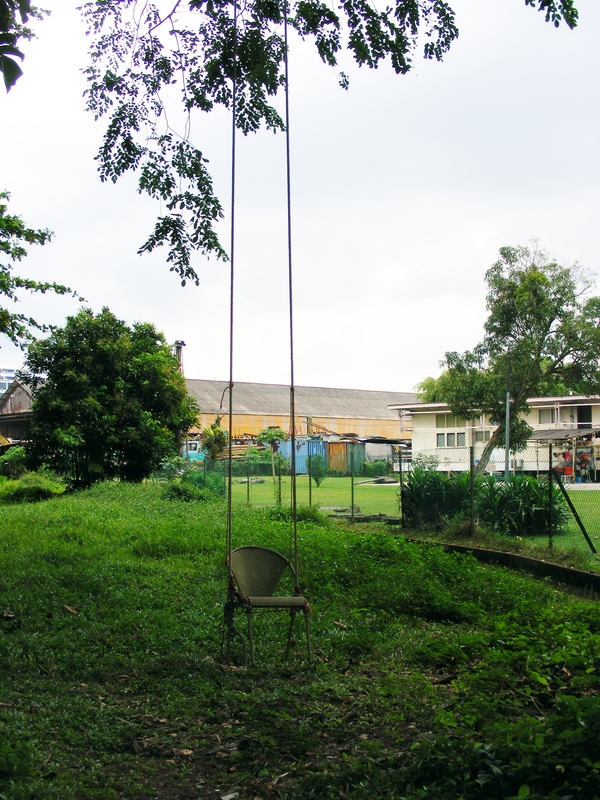 There’s far too many people in Singapore to live kampong-style now, but the residents of Kampong Buang Kok are hanging on to their heritage and have thus far avoided being “developed”. I really hope that the Singapore government lets this kampong remain as it’s a very important piece of living history that gives visitors the chance to view a different way of life. A lifestyle that is miles away from the way most Singaporeans live. It would be a complete tragedy for Singapore if this place disappears. 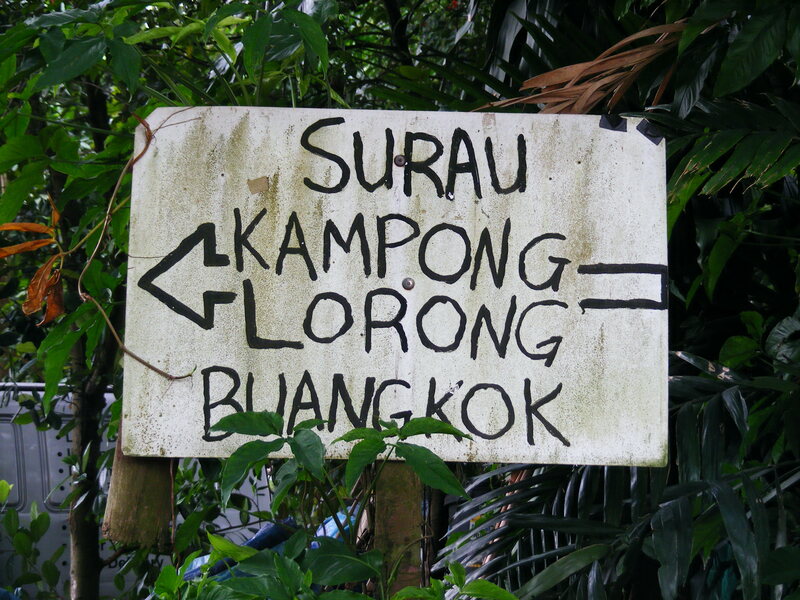 I didn’t spend long at the kampong. 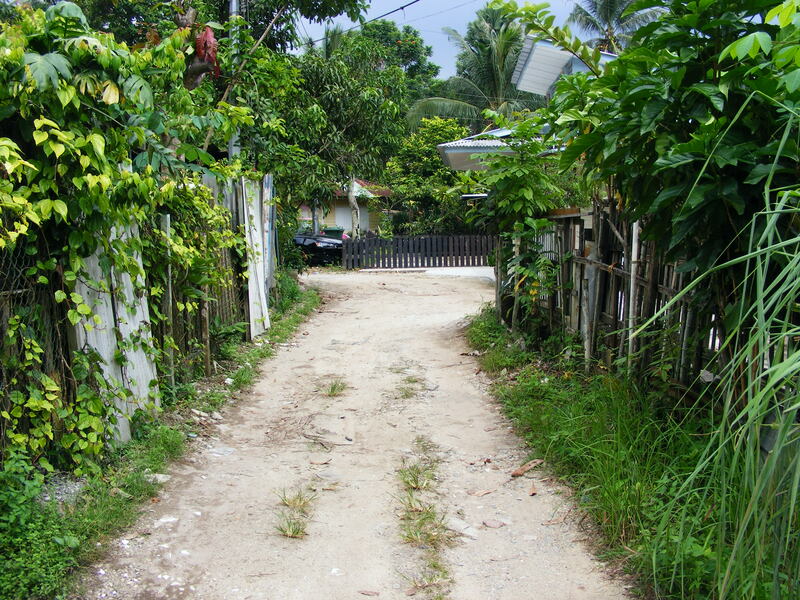 There was a storm brewing, I was parked illegally on the road side and I felt like I was intruding even though a lovely resident told me it was perfectly fine to wander along the road that runs through the kampong. If you decide to visit you do need to be mindful that this place isn’t designed as tourist attraction. Real people live in these real houses and I personally think it’s good manners to ask the owners if you’re going to take snaps of their houses so I stuck to the public areas. Although it’s only a very short walk from a cluster of towering HDB’s the vibe inside the kampong is like nothing I’ve felt anywhere in Singapore. It was quiet and peaceful and I can see why the residents choose to live there. Look for the sign pictured in the first paragraph. I love these posts – a peak into another type of Singapore. Hi. 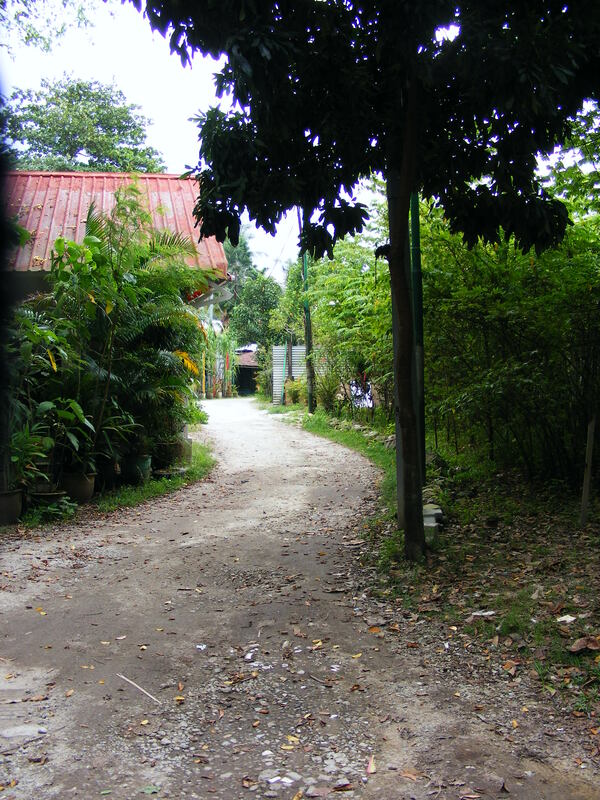 Loved your post about visiting one of the last kampongs. You must go to see Ilo Ilo, just released here after winning a Camera d’Or at Cannes. Incredibly touching view of real Singaporean life. I would love to read the post you will feel compelled to write about it. I’m an Australian/American/Californian, here 7 months with my husband (daughters both back in the States at university and working in NYC) Left my big job in LA. Worked full time here for five months then took a sabbatical. Traveled and explored for two months. Made some great friends, some of whom are already on their way elsewhere. I Have seen and enjoyed many of the places mentioned in your blog and am always looking or companions for my local forays into the far corners of Singapore. Please send me a note if you’d like to connect.